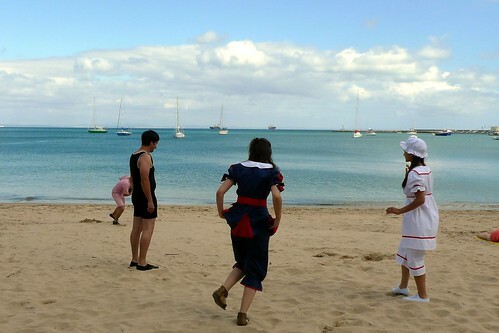 Some strangely retro-looking people took to the beach at Cascais as we went past. These were just a few of them. No idea why. This entry was posted in Wedding accessories and tagged Beach, Retro. Bookmark the permalink.